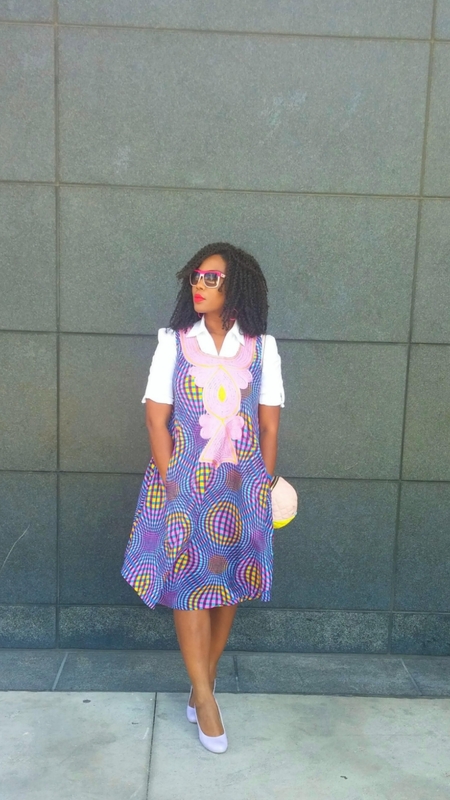 "I love my signature ankara dresses. They are perfect for Summer and the deep pockets are so convenient. For some time I have been trying to figure out different ways I can wear them. I like to know I can get more than one look from every item in my closet. I toyed with the idea of wearing a white shirt underneath but when I tried it out it didn't look good. I was surprised because white goes with almost everything. However, the issue wasn't the color but the style of shirt. Once I realized that I was wearing it with the wrong shirt I switched and voila. This dress looks completely different from when I wore it last summer. Ofcourse it's still recognizable but you have to admit it's different. I'm really excited about this look and who knows, maybe I'll come up with other ways to wear this dress in the future." 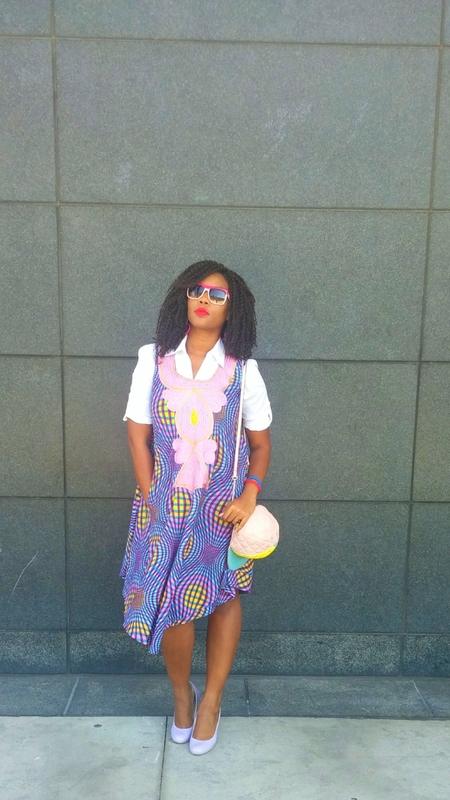 How to wear our Double Print Skirt with even more print! Making my mandarin jacket "fall appropriate"
Did someone say ankara crop top? Floral print striped dress with pockets!